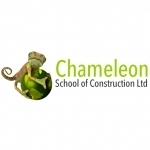 Description: Chameleon School of Construction offer training courses covering a wide range of construction and associated skills at their centres throughout the Midlands. Courses include bricklaying, plastering, tiling, painting and decorating and motor vehicle maintenance. Meta Keywords: centres throughout the Midlands. Courses include bricklaying, plastering, tiling, painting and decorating and motor vehicle maintenance. Meta Description: centres throughout the Midlands. Courses include bricklaying, plastering, tiling, painting and decorating and motor vehicle maintenance.